Make your photos look vintage with the classic white border and room to write your own personal message online or at home. 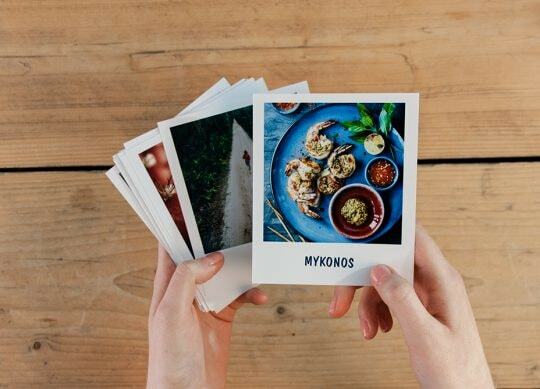 Turn your favourite moments into timeless statements with these 5” x 4” retro prints. 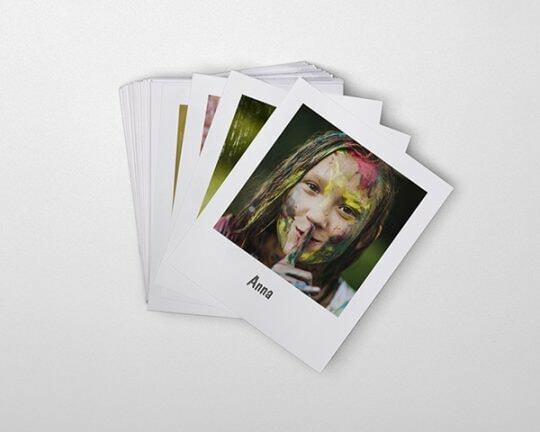 Inject some personality into your photographs by turning your favourite snaps into premium quality retro prints online with bonusprint. Nothing seems to capture the moment like an instant shot from a classic camera, but you don't need to go back in time to achieve stunning vintage results. 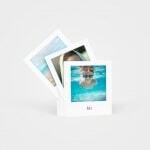 With our retro photo prints, anyone can enjoy the beauty of retro prints, creating stylish images of holidays, parties, friends or family. 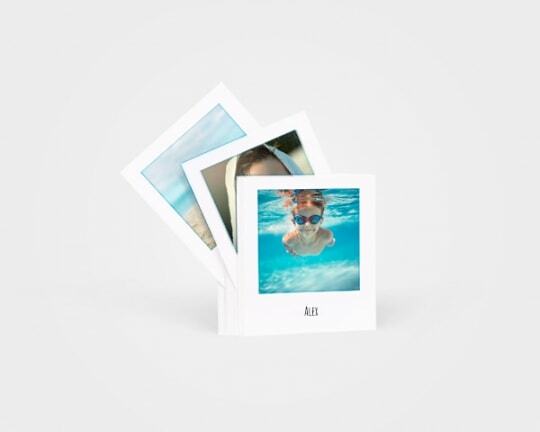 Printed on premium paper, our retro style photo prints capture life's unforgettable moments in a fun, creative way. 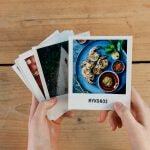 Creating vintage photo prints couldn't be simpler thanks to bonusprint's online creation tools. Just upload your holiday photos or snaps from the most recent family get-together, then start creating. You can resize images and add captions. More importantly, our tools let you make photos look vintage, with sepia tones and authentic tones. And you can select different finishes as well, with glossy and natural options to choose from. There's no need for expensive cameras or dark rooms. With our tools it's easy to make any photo vintage online and anyone can create incredible images in an instant. Imagine covering your bedroom wall with 1960s-style retro prints, or creating a collage for a friends' birthday. When you order retro prints online, you can really get creative with your photo arrangements. Ordering is quick and easy. 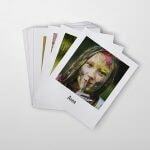 If you have a high quality printer, you can print retro photos online as soon as you're finished creating. Alternatively, you can order retro photo prints and we'll send them through within a few working days. So act now and start a photographic adventure by adding some vintage charm to your images. Prompt service. Really good prints. Would use company again.